FEW PEOPLE may never have heard the name Ferrari, but I suspect two planned biopics, one involving actor Robert De Niro, the other director Michael Mann, will remedy this presto. Impatient types can view Enzo Ferrari (1898-1988). Or, if you prefer a more general examination of the name Ferrari, read on. I offer here brief biospecs of three entirely different people with this surname, two composers and an iconic film character. 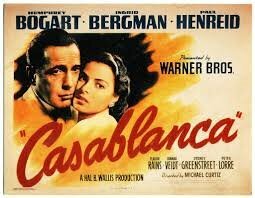 Casablanca, 1942, starring Humphrey Bogart, Ingrid Bergman, Paul Henreid and Claude Raines. 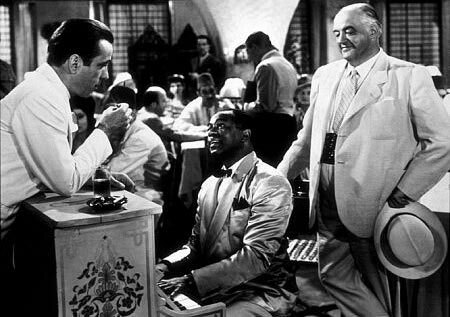 From left to right, Rick Blaine (Humphrey Bogart), Sam (Dooley Wilson) and Signor Ferrari (Sydney Greenstreet). Image from http://www.classicmoviehub.com. We never learn pianist Sam’s surname, nor nightclub owner Ferrari’s given name. However, I’ve long thought that many Americans first heard the name Ferrari through this classic movie. The two composers, Ermanno Wolf-Ferrari and Benedetto Ferrari, are perhaps more obscure. 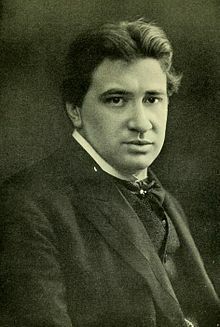 Ermanno Wolf-Ferrari, 1876 – 1948, Italian composer and teacher. Composer Ermanno Wolf-Ferrari formed his hyphenated surname to honor his German father and Italian mother. Wolf-Ferrari studied to be a painter, first in his native Venice, then later in Rome and Munich, where he turned to music. After several operatic false starts, Wolf-Ferrari discovered 18th-century farces and similar genre. He transformed these into operas that, prior to World War I, were among the most performed in the world. 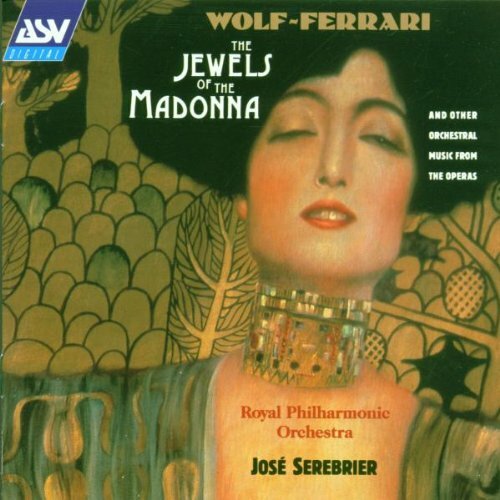 Wolf-Ferrari – The Jewels Of The Madonna and Other Orchestral Music From the Operas – Jose Serebrier, Asv Living Era, 1993. Today, Wolf-Ferrari’s overtures from the operas I gioielli della Madonna (The Jewels of the Madonna) and Il segreto di Susanna (The Secret of Susanna) are popular concert pieces. 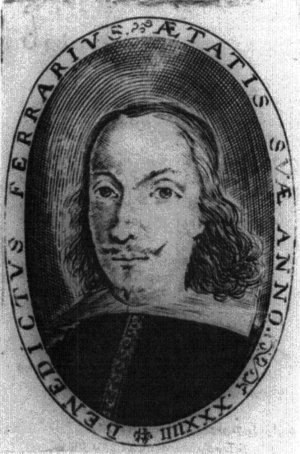 Benedetto Ferrari, c. 1603 – 1681, Italian composer and theorbo virtuoso. None of Ferrari’s operas survive, but there are charming collections of his music written for voice and theorbo (a long-necked lute). 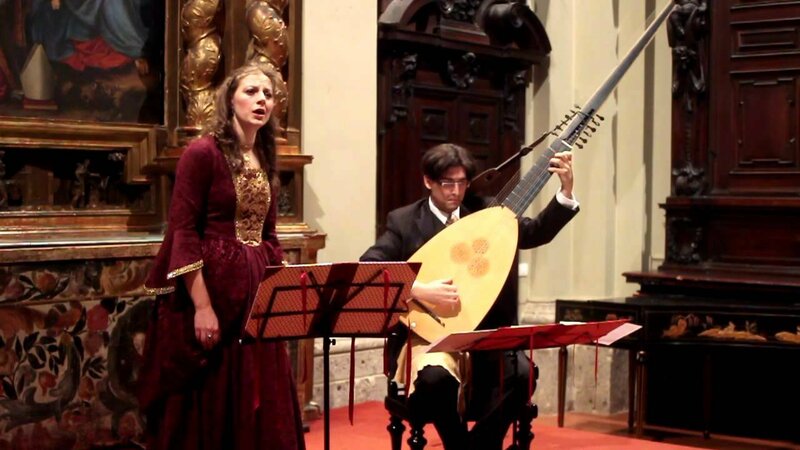 Amanti Io VI So Dire, Peggy Bellanger soprano, Michel Angers theorbo, Stradivarius, 2011. Canadian soprano and theorboist Michel Angers perform one of my Ferrari favorites, Amanti, io vi so dire (Lovers, I know you say). The lyricism and lilt transfer well from the 17th to the 21st century. Canadian soprano Peggy Bélanger with theorboist Michel Angers. A video excerpt can be enjoyed at https://goo.gl/X4Fxgc. I wonder of any or all of these Ferraris (or would that be Ferrarii?) are related? And then there was Giulio Ferrari who started production of a “spumante” named after him. Spumante Ferrari is a nice champagne-like sparkling wine worth sampling if you get the chance. It’s from the city of Trento in northern Italy. 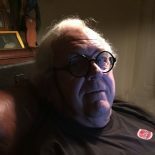 This entry was posted on May 7, 2015 by simanaitissays in And Furthermore... and tagged Benedetto Ferrari, Casablanca's Signor Ferrari, Enzo Ferrari, Ermanno Wolf-Ferrari, Michel Angers, others named Ferrari, Peggy Belanger, theorbo.